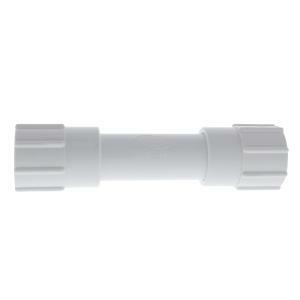 KwikRepair Coupler fittings are faster and easier to use when installing or repairing PVC lines. Simply apply the primer and solvent to the end of the fitting and to the end of the pipe being repaired and slide the sleeves over the pipe, thus eliminating bending or flexing of the pipe. This creates a permanent solvent weld. Perfect for limited space installs and repairs. Made in the USA.